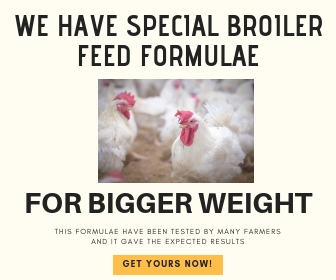 I know you are looking for an excellent feed formula to make your broiler chickens grow faster and bigger. Congratulations! You are on the right page. A lot of poultry farmers are worried about the weight or low growth rate of their broilers. 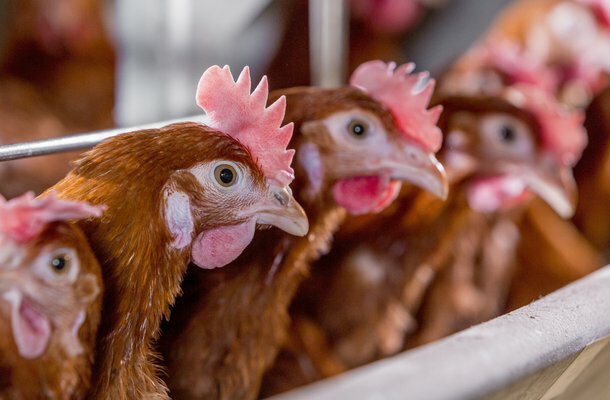 Some are even fed up and have even decided to stop feeding their broiler chickens because it’s like they are wasting their money feeding the broilers. There are many factors that could make broilers have stunted growth or impede their growth rate. This could be as a result of poor management, poor broiler chicks (breed), poor or insufficient feed, poor feed conversion by broilers, poor stocking density, diseases or poor housing. However, the most common factor causing poor growth is feed. When a farmer feeds his broilers chickens with poor feeds, they tend not to perform well regarding growth. When an excellent feed formula is used to formulate your broilers feed, then expect them to grow well. Well, I have made your work easier. 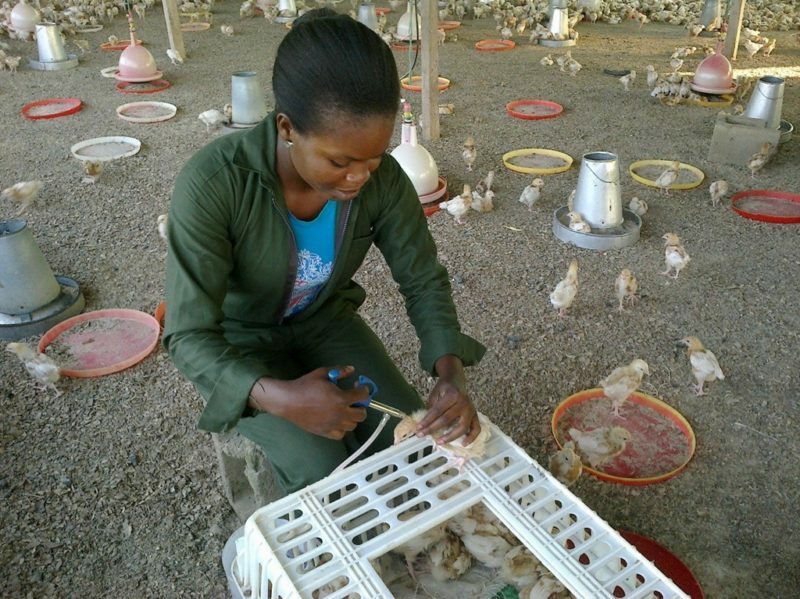 I am ready to sell the formula I have been using for the past four years for all the broilers I have raised as a poultry farmer. Using this formula, 85% of my broilers attained an average weight of 2.5kg at 6th week and a live weight of 3.5-4kg at the 8th week (see the pictures at the end of this post). I didn’t even use a growth booster. I go to my feed miller, buy the ingredients and the miller does the grinding and mixing for me. I know a lot of people visiting my site are having the challenge of making their broilers bigger. So this has prompted me to give out my own formula at the rate of #10000 for a limited time. You can purchase this formula using any of the payment options below. I suspect your birds are down with Newcastle Disease. Administer a broad spectrum antibiotics such as oxytetracycline and contact your veterinarian. 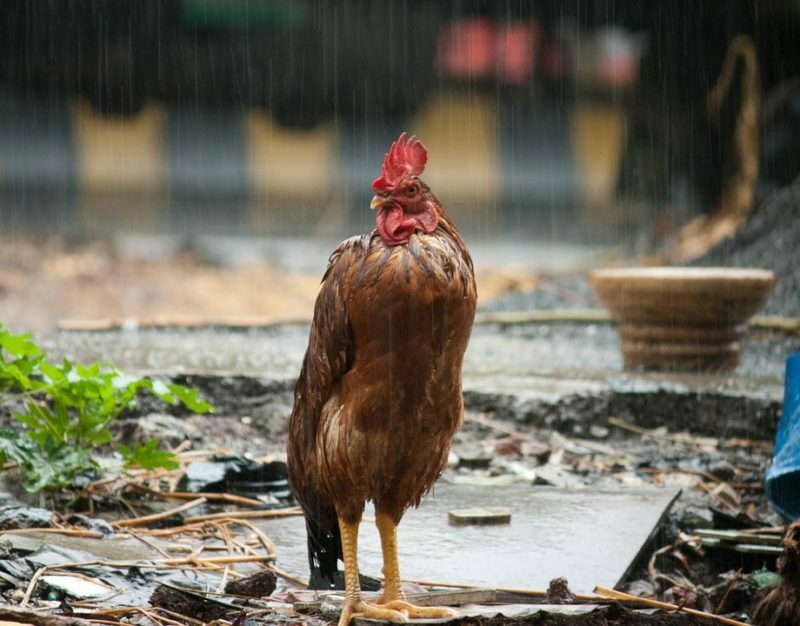 Next time, ensure you vaccinate your birds at the schedule time. Thanks for reaching out. Unfortunately, exporting animals from Nigeria to another country is a rigorous process in Nigeria. The documentation and license part is very tiring, especially for new companies. I wish I could help you, but this is not what I can help you to do. Hi Mrs. Innocent. kindly click this link https://www.livestocking.net/join-livestocking-whatsapp-group to get started. I’m glad you liked our articles. I like your articles you are very intelligent, tell me same thing, I have seen one farming sector in Nigeria which is not soo common in other countries in our mother africa like glasscuter farming. 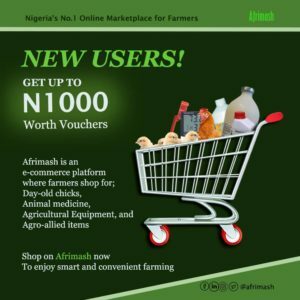 is it possible to import a breeding stock from Nigeria? The formula worked like magic. No regret buying it. Thank you so much prof. Thanks for coming back to leave your feedback. I’m always at your service. After paying for the formula must it be your feed Miller that will make the feed and do you have feed Miller’s in other parts of the country? No, it’s not my feed miller that will make it. There are many feed millers across Nigeria. Pls can you recommend feed millers in Nigeria that hv been tested and proven to be effective,to mill my feeds and also to get raw materials for these feeds. Thank you for this awesome feedback! Yes, I can formulate one for your special need. Thank you for your great feedback. Yes, I can formulate one for your special need. Commen how can I pay for the broiler formula with my phone ( mobile banking). without a bank teller. Hi John. Kindly transfer the fund to the GTBANK account details written in the article above and send email to info@livestocking.net after to confirm receipt. Wow! Thanks for your comment and feedback. I am from nagpur(maharashtra)india .i want to make my own feed for my poultry farm .Tell me the full procedure for buying your formula. Hi! You can pay using PayPal. Send an email to info@livestocking.net for details. Please at what point in the broilers life are you suppose to use the formula? Is it to be used from week 1 till point of sale? My broilers are about 6 weeks old now and they were growing very well while feeding on Vital Feed starter, but since I switched their feed to Animal Care Grower at 5 weeks, they seem to be have growing. I really don’t know what to do right now. So is it too late to use your formula? 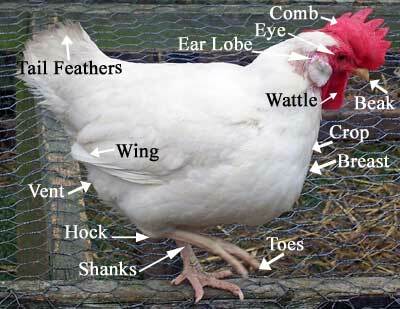 And please a good explanation of the best feed for broilers at different weeks will be much appreciated. Thank you. It is supposed to be used from Day 1 until the point of sale. It is not late to try this special formula. 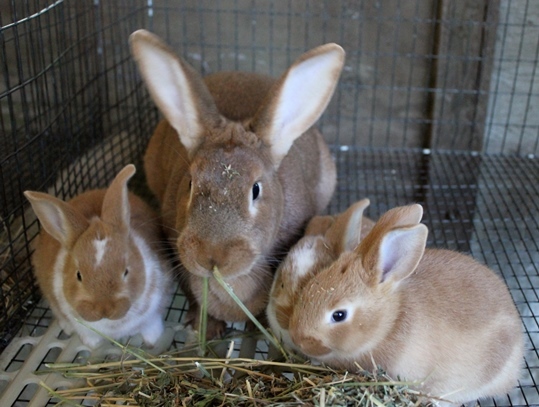 I just gone through your article on the special feed formula and am interested. I would like to have a copy of the book. Can I make a bank transfer? Good enough we bank in the same bank. And am doing that right away. Yes, it’s from a reliable source. The Nigerian Institute of Animal Science. Pls am at Ghana KADE eastern how can get some broilers formula to buy.my WhatsApp number 0549590797any information WhatsApp me. How do I contact you.Thanks. Your special formulae worked like magic. Though I’m not new to broiler farming as I have been a broiler farmer for over 5 years. I have used several formulas but yours gave me awesome results after using it on my last batch of broilers. I got an average of 3.69 kg after 8 weeks. 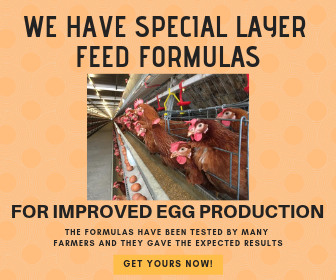 If you have special formula for layers feed, let me know. I will definitely buy that too. Continue the great work bro! Thanks Yinka! I’m happy this worked for you too. Yes, I have for layers, but may look expensive. The price is #15,000. We have no group on WhatsApp. Only Telegram. Are the ingredients for your feed formula easily accessible in any part of the country? Kindly reply. Thanks. Yes they are common livestock feed ingredients. Hello am a young Cameroonian interested in animal production. Especially broiler production. Would rely love to have that formulae but don’t have the way to forward the cash to you. Is there any other way to do thay. You can use PayPal or use western union money transfer. Muabecho Idrisu.Thank for sharing your technology and experience with us.Am writing from Cameroon,I need your formula.How can I get it?Thanks. You can send an email to info@livestocking.net. Note, the price is #10, 000.